We are a not-for-profit publishing group. We are new, and small, and independent. or because the author wishes to retain control of the means of production. The first book was printed with an ink jet printer and hand-stiched. new and better ways to do things. We are not currently accepting unsolisited manuscripts. Today I am a tree, tall and alive, with sap crystals on my body. The wind is strong but I sway with it, we are the same. My trunk is wide and my jewels wink and glint in the sun. People walk by and never see me amongst the other trees. A little way up the street is James Owen, he is also a tree. That's where he went, you see. I smile at him, and he waves a branch at me. This collection of deliciously dark & delightfully readable short stories introduces a new voice to Australian Literature. 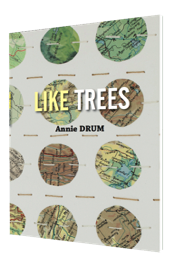 These stories explore altered states of reason and sensibility arising from real and recognisable emotions - grief, lust, loneliness, regret - with just a little magical thinking to stop us in our tracks. Drum's sorties into states of madness are so eloquent they make sanity seem foolish! 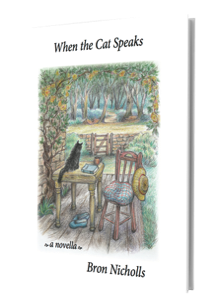 Launched at the 2016 Clunes Booktown, 10th anniversary festival by Neil Boyack. Copies are available directly from the author - Pomonal Publishing is strictly not for profit. In this collection of poems, Christopher Konrad explores the domain of the personal, perhaps even secret speech; the half hidden languages derived from culture, family, and desire. Employing that slippage of language which only poetry can properly convey - the liminal, free-floating structure of the written or spoken word - enabling it to be just what we make of it, moment by moment, in a changing emotional, cultural, linguistic and historical context. 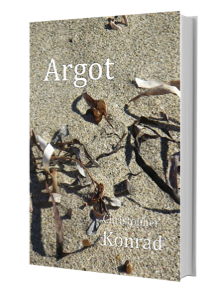 Roland Leach, poet and proprietor of Sunline Press, says: Argot is a great collection; an erudite collection in fact. So many new angles … the number of forms used and everything seemed unexpected and a surprise. To tell or not to tell? This heart-touching story is about friendship, loyalty, and the complexity of our caring for one another, in a community.